Shortsighted leadership focuses primarily on the bottom line. 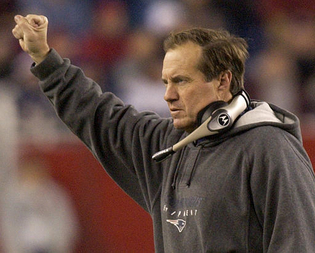 In football, it’s wins and losses and playoff berths. In business, it’s quarterly profits, shareholder equity, and sales targets. Not that these things aren’t important – they are. But when they become the primary focus of a business or a team, they inevitably result in an organization that is out of balance. Leaders whose definition of success depends on such a short-term focus – and by short-term I mean temporal, noneternal – will one day wake up to discover they’ve missed out on what is truly important in life, namely, meaningful relationships. • Integrity—Did I do my best? • Expectation—Did I please my sponsor? • Relevance—Did I understand and relate to the audience? • Value—Did I add value to the people? • Application—Did I give people a game plan? • Change—Did I make a difference? Not the first time I shared this video and won't be the last. I absolutely love the lyrics and what it says about all those that have served to protect our freedoms. "All gave some, some gave all." Let us NEVER FORGET! 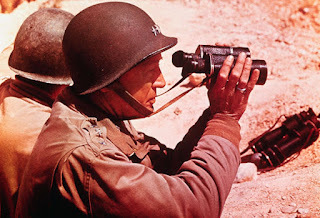 Those closest to me know that I have long a fascination with the General George S. Patton that includes books, photos and even a Patton action figure. My book collection on Patton totals over 20 but I have found the past few books written on the General have very little in the way of new insight to him and his leadership style. On my way from College Station to Orlando, a stop in an airport bookstore in Houston brought me face-to-face with a new book “Growing Up Patton” by Benjamin Patton, the grandson of General Patton. I found it to be a great read that certainly gave way to new information. 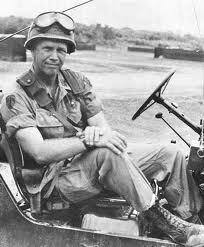 One of the most intriguing parts of the book were never before seen letters between General Patton and his son. As we head into this Memorial Day, we should not only never forget the tremendous sacrifices of the brave men and women who fight for our freedoms but also those of their families. During World War II, General Patton saw his son only twice – all the time while the younger George was working his way through West Point. It should be noted that Patton died less than a year before his son graduated. Yet here is General Patton, leading our troops in an epic battle and still finding time on a regular basis to write his son. It is some of those messages that I pulled from the letters that he passed on to his son that I will share today. It never pays to fight an underdog. You can fight for them, but never against them. A man who is self-confident does not run around with a gang. It is much better to be a lone wolf than a coyote. AGAIN, NEVER BE LATE, ALWAYS BE WELL DRESSED, DON’T BREAK THE REGULATIONS AND DON’T BE CARELESS ABOUT ROOM POLICE. (Patton wrote this sentence in caps). …If I am as famous as you seem to think, I really believe it is quite unfortunate. In a horse race you never want to make your face on the first turn. It is better to put on the speed in the stretch – and the stretch is some years from now. Self-confidence is the surest way of obtaining what you want. If you know in your own heart you are going to be something, you will be it. Be so SPOONY that you not only get by but attract attention. Why do you think I pay so much attention to being well dressed. You must be different from the crowd but different in an efficient way, not in a sloppy way. Remember that General Pershing told me one that SELF CONFIDENCE is the great thing a man can have. Joe Louis is not a great boxer but he thinks he is a great fighter so he is. Men are never beaten by anything but their own souls when the latter curl up. This group of unconquerable heroes whom I command are not in yet but we will be soon – I wish I was there now as it is a lovely sunny day for a battle and I am fed up with just sitting. I have no immediate idea of being killed but one can never tell and none of us can live forever, so if I should go don’t worry but set yourself to better than I have. All men are timid on entering any right whether it is the first thing ro the last fight. All of us are timid. Cowards are those who let their timidity get the better of their manhood. There are apparently two types of successful soldiers: those who get on by being unobtrusive and those who get on by being obtrusive. I am the latter type and seem to be rare and unpopular; but it is my method. FOne has to choose a system and stick to it. People who are not themselves are nobody. To be a successful soldier you must know history. Read it objectively – dates and even the minute details of tactics are useless. What you must know is how man reacts. Weapons change but the man who uses them changes not at all. To win battles you do not beat weapons – you beat the soul of man, of the enemy man. To do that you have to destroy his weapons, but that is only incidental. You must read biography and especially autobiography. If you will do it you will find that war is simple. Decide what will hurt the enemy most within the limits of your capabilities to harm him and then do it. TAKE CALCULATED RISKS. That is quite different from being rash. My personal belief is that if you have a 50% chance, take it because the superior fighting qualities of American soldiers led by me will surely give you the extra 1% necessary. I am sure that if every leader who goes into battle will promise himself that he will come out either a conqueror or a corpse, he is sure to win. There is no doubt of that. Defeat is not due to losses but to the destruction of the soul of the leaders. The “Live to fight another day” doctrine. The most vital quality a soldier can possess is SELF-CONFIDENCE, utter and complete and bumptious. You can have doubts about your good looks, about your intelligence, about your self-control; but to win in war you must have NO doubts about your ability as a soldier. The intensity of your desire to acquire any special ability depends on character, or ambition. There is no such thing as a “A good field soldier.” You are either a good soldier or a bad soldier. Your letter of August 8, duly dated, just reached me. I believe that by now you know where I am, but if you know what I am doing you are smarter than the Germans. We have been having a swell time and I trust that good fortune continues to attend our efforts. That is the whole art of war, and when you get to be a general, remember it! I have never given a damn what the enemy was going to do or where he was. What I have known is what I have intended to do and then have done it. By acting in this manner I have always gotten to the place he expected me to come about three days before he got there. …In one of the magazines – I think it was Time – I was attacked for attempting to accomplish the impossible. This was a very stupid attack because success is only achieved by accomplishing the impossible. I was glad to hear from a letter from your mother what a nice Xmas you had and I was also delighted to hear that you were rated so high in leadership. It is the thing that wins battles. I have it – but I’ll be damned if I can define it: Possibly it consists in knowing what you want to do and then doing it and getting made if any one steps in the way. Self-confidence and leadership are twin brothers. The Japanese, therefore, surrendered not because they were unready to win. …Finally, my conclusion is that the Army is just as important as it ever was and the people with imagination are needed. 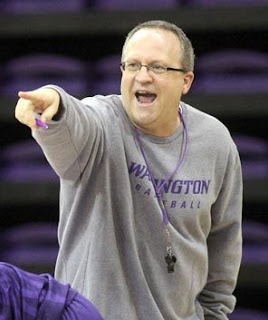 The following are notes from Mike Neighbors of the University of Washington. I've known Mike for sometime and one of the things I respect most about him is that he was one of those coaches that love to share. If you're aren't on his mailing list you are really missing out! He constantly sends out some of the best material that I have in my library. I am on my second binder of "Mike Neighbor Notes." Drop him a an email and asked to be placed on his list - nabes22@u.washington.edu - I guarantee you won't be sorry! Virginia Commonwealth’s Center for Sports Leadership and NIKE have teamed together to develop a two-day experience for assistant coaches that to date is by far the best coaching experience that I have ever been a part of. 22 NCAA Women’s Assistant Coaches and 47 NCAA Men’s Assistant Coaches gathered in Portland last week for a two day seminar on the NIKE Campus. For 36 hours, we were joined by 30 Athletic Directors and Conference Commissioners to discuss the state of the game of college basketball. We shared ideas, picked each others thoughts, and listened to some of the games brightest minds in sports. After 36 hours at most seminars/clinics, I am usually ready to find the nearest golf course. Not this one. I would have loved to have another 36 to be surrounded by these people who truly are trying to as we say here “Grow The Game.” But in true NIKE style, they always leave you wanting more. The main idea of the consortium is to allow assistant coaches a rare opportunity to share face-time with Athletic Directors from across the country. But for our Newsletter purpose, I believe the ideas shared can be used by all of us chasing a dream in coaching. It also motivated me to be a better assistant coach while I learning the crafts necessary to be a head coach some day. 1) Every day is an interview… When your team is playing a road game, there are countless people in attendance for the home team that are watching you. They could be in the stands or at the scorers table. They might be in the hall away or working a concession stand. You most likely never know them, but they know you. They are the people who for now might be an associate AD in charge of game management but in three years might be the AD at another school looking to hire their next coach. If you were rude to the 18 year old student making you a hot dog, they guaranteed us there could be NO ONE on your reference list to overcome that. 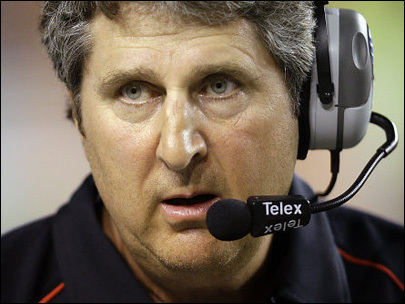 2) “In the beginning, think about the end”… This was a quote from Ed McLauglin. He was speaking about the way your mind should work as you prepare for a future job. If you wait until your “dream job” is open to prepare for it, you will never get it. While everyone agrees you have to make your current position the best position you have ever had and the most important, if you dream of something bigger you have to prepare for it in your spare time. In other words you have to think and prepare for the end result long before the day comes. Vic Cegles followed that up by saying so many aspiring have coaches have “seen the end of the movie, without ever thinking about how much work went on before.” It is so true that we often see the glamorous side of the coaching profession without any thought to how many NOT so glamorous moments went into getting those coaches there. 3) “Basketball players have to be re-programmed”… They both spoke on this point. It was something I had never really thought of in this context but it is so true and brilliantly put. Football players from a very young age learn their roles. The biggest, strongest (most often chubby kid) is a lineman in 4th grade football. And from that point on that’s who they are. The fastest kid is the QB. And from a young age be BECOMES our image of a QB. Sure there are extremes where the 4th grade QB stops growing and the chubby kid loses weight and becomes the QB. But, for the most part, they are who they are from a young age. And by the time they are ready to be a high school player or collegiate player, they have spent YEARS in their role of who they are. That is not true for our sport. Basketball players are constantly thrust into different roles. A junior high post player may have to be a guard in high school. 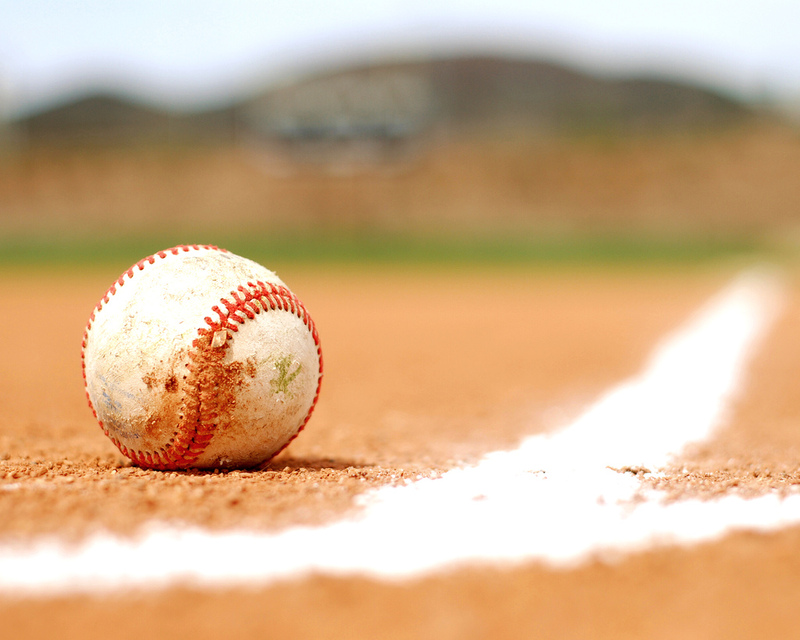 A high scoring high school player may have to become a role player at the collegiate level. Thus we as basketball coaches are always re- programming our players psyche. Think about that one and I bet you’ll see things you have never thought of before. This one was a hot topic in side conversations. 4) “The Art of the Pitch” was a book recommended. I have yet to read it but it has been ordered from Amazon.com and hope to have it soon and will include a review in a future newsletter. 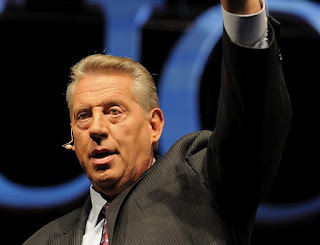 There are few better on the topic of leadership than John Maxwell. Here is a great post from him that is worthy of all of us in the position to lead. It is also a great post to pass along to those who you count on to lead you or lead with your. The willingness to ask questions coupled with the discipline to seek out answers separates leaders from followers. Influencers question assumptions, inquire about the environment around them, and probe into the future. They have an insatiable appetite to learn, and they convert their knowledge to action at light speed. While leaders constantly investigate their surroundings, the most important questions they ask are the ones they pose to themselves. By routinely questioning their goals, motives, and purpose leaders renew their self-identity along with their sense of perspective. Consider the following benefits of examining yourself as a leader. You only get answers to the questions you ask. If you won't dare to wrestle with the tough dilemmas in life, then you'll live small. A well-considered question penetrates to the heart of the matter and triggers new ideas and insights. 3) Honest Questions Lead to Solid Convictions. Inquisitiveness clarifies morals and beliefs. Values are shaped when you force yourself to be truthful in answering tough questions about where you stand on key issues. 4) Correct Questions Help Us Find Ourselves and Our Mission. Tackling life's biggest questions brings direction and meaning to life's journey. Bob Buford captures this thought in his book, The Second Half. What is your passion? What have you achieved? What have you done uncommonly well? How are you wired? Where do you belong? What are the ‘shoulds' that have trailed you during the first half? These and other questions like them will direct you toward the self your heart longs for; they will help you discover the task for which you were especially made. 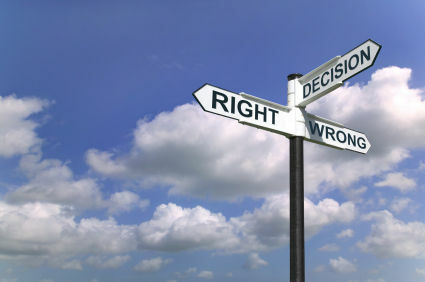 Throughout your years in leadership, if you know the right questions then you will ultimately gain the right answers. 1) Am I Investing in Myself? This question probes your commitment to personal growth. An empty glass won't refresh anyone. Before you can influence others, you need to contain something worth offering to others. Don't be content to stockpile knowledge. Once you've ascertained a new insight or developed a skill, pass on what you've discovered. A learner builds reservoir of learning, whereas a leader becomes a river of learning for others. 2) Am I Genuinely Interested In Others? This question delves into motives. As J.P. Morgan cynically observed, "A man always has two reasons for doing anything - a good reason and the real reason." Since leaders are inclined to figure out situations before anyone else, they have capacity to take advantage of others. For this reason, it's essential to regularly question your motives. There's a fine line between manipulation and motivation. The former moves people for personal benefit, while the latter moves people for mutual gain. 3) Am I Doing What I Love and Loving What I Do? This question determines passion. You will never find your passion doing work you despise. If you go to work only to fulfill processes and functions then you're in jeopardy of losing your humanity and turning into a machine. "Find your passion and follow it," is all the career advice you'll ever need. Passion gives you the edge by endowing you with more energy than others have. 4) Am I Taking Others to a Higher Level? This question has to do with mission. Regardless of your industry, as a leader, you're in the people development business. Fulfilling your mission depends upon lifting the performance of those you lead. As Zig Ziglar says, "You can get everything in life that you want if you will just help enough other people get what they want." By adding value to those you lead, you're investing in men and women with the potential to multiply your influence exponentially. 5) Am I Taking Care of Today? How you treat today speaks volumes about your likelihood of success. In fact, if I spent one day observing your priorities, behaviors, and interactions with people, then, with about 90% accuracy, I could let you know your leadership potential. Why would I be so certain in my judgment? Because I've learned that the secret of your success is determined by your daily agenda. The great artist, Pablo Picasso, once remarked, "Computers are useless. They can only give you answers." I tend to agree, and I think Picasso's observation carries truth for leaders as well. Regardless of your technical skill or relational charm, you'll be inhibited as a leader until you learn the art of asking questions. Knowing how has merit, but influencers will always be the men and women who understand why. On what coaches can learn from other sports: "I think maybe some of the basic coaching things, like when I talk to (Johns Hopkins) coach (Dave) Pietramala about a situation or a player or the concept of preparing for this or that or how to present it or the psychological part of it -- I think there's some carryover there. But lacrosse is a lot more (like) basketball or soccer ... it's different than football, (where) at the end of each play you huddle, you pick a new play. 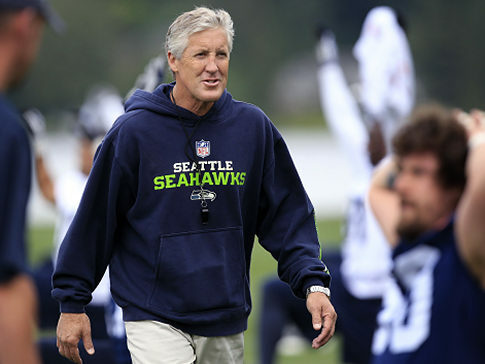 The games are a lot different, but the coaching principles carry over." On what he learned in school: "One of the things I'd say I learned the most was the appreciation of the skills and talents of other people, the students, and how different they were and how talented they were and how they could do things, and not everybody did them the same way. I think that applies to football, where you have receivers that have different styles. They're good, but they're not all the same, and you have to figure out ways to utilize those things. What one person does (well), another person might not, but they may still be able to be productive at that position. ... You can be good ... with one style of defense or another style of defense, as long as it's coordinated and fits together." On how teams are a reflection of their coach: "Whoever's picking the players and coaching the players should pick them and coach them the way they want the team to perform. I'm not saying it's always perfect. But if you want a really fast team, you should go out and get really fast players. If you want a really big team, you should go out and get really big players. 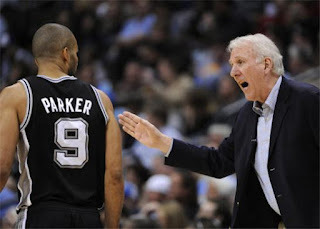 If you want a team that can really throw the ball and you're a good passing coach, then you should go out and get good passing players, and you should coach them well, and you should be able to throw the ball. However you build you team, you should be able to see that reflected in way the team performs -- unless you made a lot of mistakes, or maybe there's too many cooks in the kitchen, so to speak, either coaching the team or selecting the team." On dealing with players: "In some respects, you have to treat everybody the same. There has to be some sort of common denominator. But in another way, you can make some adjustments for some people, anybody really -- it doesn't have be one of the "name" players. That's what it comes back to. Any time you make a decision, you do anything, (if) you look back and say, 'That really doesn't help our team,' then why do it?" On team leaders: "In a lot of cases, our best players are our best leaders and our hardest workers. They set a better example, to be as good as they can possibly be. That's an awesome situation -- that's really what you want. You want your best players to really set the pace. 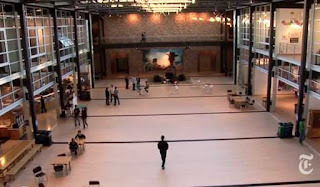 That's great environment for everyone else to emulate and try to keep up with." On his coaching staff: "The assistants are the backbone of our success, really -- they're the ones who do most of the coaching. On a team basis, I do a percentage of it, but they actually do a far greater percentage of it. I think there is a balance. You want everybody to work together. At the same time, you want people to be able to work independently and come up with things on their own and handle problems on their own. But it's all in the context of a team framework." HOOPTHOUGHTS: As a player, you had the honor of playing for Coach Stringer. 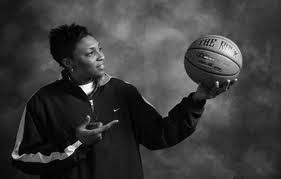 Name something you learned from her that not only made you a better player but a better person. #1 You play the hand that you are dealt with in life to the best of your ability and Win! #2 Let nothing stop you from striving to be the best at whatever you do. #3 Don’t ever come second to anything or anybody. #4 Work hard and smart and be intentional towards your will for success. HOOPTHOUGHTS: What and/or who inspired you to teach the game of basketball? NADINE DOMOND: I just love teaching in general; if I weren’t a professional skill trainer I would have been a teacher or a college professor. There is a need for skill development on all levels. I think kids play way to many games and don’t spend enough time developing their skills. There is a need for skill training if players want to get better. What I love about teaching is that the great player always wants to get better. If you want to be the best you always have to be working on growing your game. NADINE DOMOND: We understand that the transition from high school to college is not an easy one for many players. It can become a struggle in Division I through Division III programs. As a highly recruited player I thought that I knew what my coaches expected of me on the next level, but I didn’t have a clue. It is frustrating not knowing what is expected of you mentally and physically when you arrive on a college campus. The Transition will prepare you for the next level. The Transition is an exclusive intense training experience opened to sophomore, juniors, seniors, incoming college freshmen & current college players. The Transition – The Total Basketball Experience - combines a variety of exercise techniques, discussions and practices to help prepare the mind, and to work on the game of basketball in a unique and fun way. This experience is designed specifically for the best of the best. HOOPTHOUGHTS: As you work with young players, what are some the important skills/traits you try to first improve upon? NADINE DOMOND: A skill that we teach and highlight is footwork. Nadine Domond Basketball’s philosophy beings with F.A.B.R.I.C. It is our make up and what we believe. An important skill/trait players must first improve upon is their “Footwork.” It’s not easy to have great footwork - but it is a must. Players must be able to dribble while exercising proper footwork along with creating their own shot using footwork. An examble would be creating space to create a shot coming off a screen or setting up a teammate. The ideal team player. We can also measure individuals against an ideal. In both productivity-focused and creativity-focused teams, we have discovered the data signature of what we consider the best type of team member. Badge date show that these people circulate actively, engaging people in short, high-energy conversations. They are democratic with their time -- communicating with everyone equally and making sure all team members gets a change to contribute. They're not necessarily extroverts, although they feel comfortable approaching other people. They listen as much as or more than they talk and are usually very engaged with whomever they're listening to. We call it "energized but focused listening." 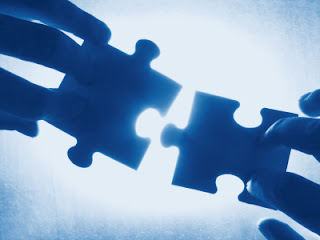 The best team players also connect their teammates with one another and spread ideas around. And they are appropriately exploratory, seeking ideas from outside the group but not at the expense of group engagement. Team Building is indeed a science, but it's young and evolving. Now that we've established patterns of communication as the single most important things to measure when gauging the effectiveness of a group, we can begin to refine the data and processes to create more sophisticated measurements, dig deeper into the analysis, and develop new tools that sharpen our view of team member types and team types. Attitude: I choose and display the right attitudes daily. Priorities: I will determine and act upon important priorities daily. Health: I will know and follow healthy guidelines daily. Family: I will communicate with and care for my family daily. Thinking: I will practice and develop good thinking daily. Commitment: I will make and keep proper commitments daily. Finances: I will earn and properly manage finances daily. Faith: I will deepen and live out my faith daily. Relationships: I will initiate and invest in solid relationships daily. Generosity: I will plan for and model generosity daily. Values: I will embrace and practice good values daily. Growth: I will desire and experience improvements daily. After decades of coaching football at different levels, I was prepared to boldly state that “Practice Is Everything.” By placing practice on a high level of the pyramid, I was making a statement. We would never accept having a poor practice or taking a day off. There would be no choices. For us to do things better than they have ever been done before, I believed that we had to practice at the highest level, the most competitive level. With consistently competitive practice, players would ultimately reach a point where they could perform in the absence of fear, due to the confidence they had gained by practicing so well. Ideally, they would then learn to trust the process, themselves, and their teammates. When a performer has supreme confidence in himself and can trust all the people around him and the schemes they are running, he is finally free to totally focus and become immersed in his performance. This is where great performers and great teams acquire a most cherished characteristic… they know they are going to win. A special thanks to University of Texas at Arlington assistant coach Karen Blair for passing on to me her notes from listening to Lt. General Rick Lynch who gave a presentation on leadership. The notes were outstanding and closed with General Lynch's 3 C's of Leadership. 1. Must make contact with the group. Make sure you have personal contact. until they know how much you truly care." 1. No first person pronouns. No "I" -- always use "our" and "we"
1. People must be convinced you care. Be committed to their health and well-being. 2. Build trust through meeting and not just in the work place. 3. Lead by example. Don't be a drain. If you are negative, people around you will be negative. Don't be what you don't want others to be. 5. Live your "dash." On your tombstone 1965 - ?? Live your dash and touch lives. 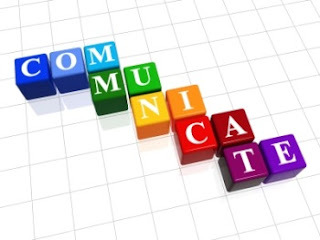 In our research we identified three aspects of communication that affect team performance. The first is energy, which we measure by the number and the nature of exchanges among team members. A single exchange is defined as comment and some acknowledgement – for example, a “yes” or a nod of the head. Normal conversations are often made up of many of these exchanges, and in a team setting more than one exchange may be going on at one time. The most valuable form of communication is face-to-face. The next most valuable is by phone or videoconference, but with a caveat: Those technologies become less effective as more people participate in the call or conference. The least valuable forms of communication are e-mail and texting. The second straight important dimension of communication is engagement, which reflects the distribution of energy among team members. In a simple three-person team, engagement is a function of the average amount of energy between A and B, A and C, and B and C. If all members of a team have relatively equal and reasonably high energy with all other members, engagement is extremely strong. Teams that have clusters of members who engage in high-energy communication while other members do not participate don’t perform as well. The third critical dimension, exploration, involves communication that members engage in outside their team. Exploration essentially is the energy between a team and the other teams it interacts with. Higher-performing teams seek more outside connections, we’ve found. The following are some excerpts from an article written by Brian Hendrickson for "Champion," a magazine published by the NCAA quarterly. It is a reminder that the best coaches, the best programs, are teaching lessons that translate beyond the sport they play. I've often written about the importance of being "process-oriented" in our approach to competing. It was something that was driven home by the philosophy I observed Nick Saban teaching while at LSU. The score or time had nothing to do with give your absolute best on that one particular play. And you do that one play at a time. And in the case of Chris Norton, "be 1-0 in every day and every way." Sure, there was a football game about to take place on this afternoon in September. But this was a victory both sides could celebrate. The last time Norton stepped on this field in Decorah, Iowa, he left in an ambulance with a compressed spine and a 3 percent chance of regaining feeling below the neck. But this roaring crowd was filled with the teammates who helped ensure those odds would be flipped. The collision had violently hyperextended Chris’ neck, shifting two bones and compressing the spinal cord. Terry had watched his son finish a basketball game after getting head-butted in the face, so when Chris stayed down, Terry knew it was bad. He and Deb rushed to the field for the first time in Chris’ career. A hushed crowd watched paramedics secure Chris to a backboard and whisk him away in an ambulance. The hospital was arranging helicopter transport to the Mayo Clinic by the time Chris arrived. As the Nortons prayed, the community mobilized. Coach Mike Durnin and his wife, Karen, made quick trips home and to Wal-Mart to gather supplies. Five teammates from Chris’ residence hall drove up and spent the first night at the hospital with him. NFL and college coaches, Luther alumni and players from rival teams flooded the clinic with shows of support. One step at a time, family and community pulled together. But while many focused on whether Chris would walk again, the 19-yearold was concentrating on simpler goals. Rehab became his new sport, and he worked like the football team’s slogan preached: “Be 1-0 in every day and every way.” So a day at a time he pushed himself through extra exercises, increasingly extensive stretches on his arm bike and, eventually, straining through longer periods standing upright. That ethic has been key to his recovery. He is now able to feel movement throughout his entire body and is back on campus taking classes while continuing his rehab at the Mayo Clinic and with therapy in Decorah. The sum of that work leaves his doctors in awe. Three times per week he works out on his arm bike in the morning before heading to his three classes. When class lets out, it’s off to therapy to work on standing, walking and building his core strength. Then on his off days, it’s off to Mayo for four hours of rehab, followed by a 12-mile ride on his leg bike. The payoff is clear: Chris walks with more coordinated strides and increasing strength with each passing week, always pushing himself like an athlete preparing for his life’s biggest game. Pursuing happiness is like chasing a rainbow. The faster we go, the hard we try, the farther office becomes. I have learned that happiness is not a pursuit -- it's a choice. 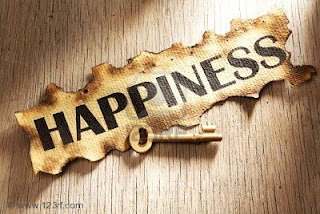 Happiness is a state of mind, obtainable at any time, in any moment of your choosing. It's not the pursuit of happiness we should concern ourselves with, but rather the pursuit of fulfillment, purpose and significance. If I have created a life of meaning in which I have a deep sense of purpose and value, that won't change because someone knocks my ice cream over. Fulfillment is a state of existence, not a fleeting emotion. So what about being happy? There are two ways you can choose to be happy at any moment. One: Think about all you have to be grateful for. Some of the happiest people I have ever met are those who have comparatively few accouterments to be happy about. When you feel gratitude, you cannot feel fear or worry at the same time. Gratitude washes it all away. If you are reading this, you're breathing and above ground, so you have many blessings to be grateful for -- just remind yourself at any moment you want to feel happy. The second way to choose happiness -- the best way, in my opinion -- is to do something to make someone else happy. The person who bestows happiness always gets much more of it return. We equipped all the members of those teams with electronic badges that collected data on their individual communication behavior -- tone of voice, body language, whom they talked to and how much and more. With remarkable consistency, the date confirmed that communication indeed plays a critical role in building successful teams. I fact, we've found patterns of communication to be the most important predictor of a team's success. Not only that, but they are as significant as all the other factors -- individual intelligence, personality, skill, and the substance of discussions -- combined. We found that the best predictors of productivity were a team's energy and engagement outside formal meetings. Together those two factors explained one-third of the variations in dollar productivity among groups. Any company, no matter how large, has the potential to achieve this same kind of transformation. What we had, then, was only a strong sense of the things -- good leadership and followership, palpable shared commitment, a terrific brainstorming session -- that made a team greater than the sum if its parts. 3. 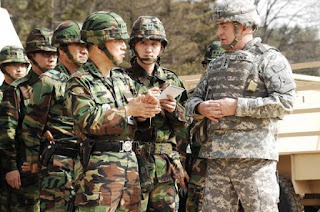 Members connect directly with one another -- not just with the team leader. The data also establish another surprising fact: Individual reasoning and talent contribute far less to team success than one might expect. The best way to build a great team is not to selection individuals for their smarts of accomp0lishments but to learn how they communicate and to shape and guide the team so that it follows successful communication patterns. The following comes from "Mental Toughness: Baseball’s Winning Edge" by Karl Kuehl, John Kuehl, and Casey Tefertiller. Work ethic. Natural talent can carry a player only so far before someone must learn the proper footwork or better throwing technique to play defense well. A player must ask himself if he is willing to devote the time necessary to improve to the next level. Proper execution. The amount of value a player places on executing different skills and elements of his game will determine how much he focuses and works on them. Fortitude. This is the strength of mind that allows one to endure adversity and stand up to difficult tests. Colloquially it can be called guys or backbone. Tenacity. This means sticking through a task to completion. A player must ask himself if he is willing to fight through the frustration to learn a new skill or improve, or simple to remain motivated when things are going badly. Taking responsibility. It is easy to avoid responsibility for flaws, errors, and mistakes by blaming others and making excuses. The big problem comes when you make those excuses to yourself. By taking responsibility for your actions, you assert control over what can be accomplished. Enthusiasm. The player has an advantage if he can muster up the emotions to try to perform well in every game or workout. This is difficult. Competitiveness. Some of the desire to compete and test one’s abilities against others may come naturally, but placing a high value on competitiveness increases the ability to compete. Preparedness. This covers both body and mind. It means putting in practice time on the field and mental time off the field. Rest. Different people require different amounts of rest and relaxation. It is sometimes essential to get away from the rigors of public life to spend a day fishing to recharge, or simply an evening vegging out in front of the TV to relax. There is a difference between necessary diversion and laziness, and that is a line the individual must assess for himself. "Whenever the center fielder would say 'I got a ball,' we'd say 'Take it,'" Enos Slaughter recalled, adding: "We listened to Terry Moore, (Stan) Musial and I both. 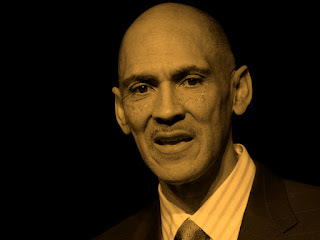 I know in St. Louis, myself, every time a ball was hit up against a screen, I'd go to the wall and when I heard 'careful,' I knew I was close and when I heard 'plenty room,' I knew I could go all out. And that's one thing about Terry Moore. To me I think he's one of the greatest defensive center fielders I ever played with, bar none. And I think Musial listened to him a lot in playing left field." "When you're hired to take over a program, the most important recruiting process is actually the one you do hiring your coaches. You've got to recruit them. You need to get the right coaches. You can't afford to be wrong on who you hire." "Ultimately it is up to individuals to decide who they want to be. You can encourage behavior and success, but you can't dictate it." 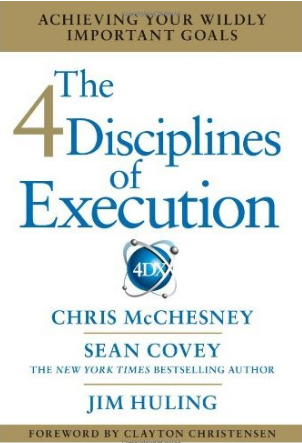 In the book “The 4 Disciplines of Execution” written by Chris McChesney, Sean Covey and Jim Huling, the subject of identifying your WIG is incredibly important. A WIG is a Wildly Important Goal. It is referred to in this manner because it is a goal that can make all the difference. On the topic, the authors talk about the fact that often it is obvious what your organization WIG needs to be – but there are many times when it is not as obvious and it becomes important to explore it at depth. As most everyone did, I read “Steve Jobs” by Walter Isaacson. It was extremely well written – thorough and brutally honest. While certainly Jobs route to success is not one that I would desire myself it worked for him and there were a number of things I took from the book. Many people wrote articles as a follow up to the book but the best was actually written by Walter Isaacson himself for the Harvard Business Review in a piece titled “The Real Leadership Lessons of Steve Jobs." Here are a few excerpts of those characteristics penned by Isaacson. In yellow italics are my thoughts as to how these lessons relate to the world of coaching/teaching. Focus was ingrained in Job’s personality…he relentlessly filtered out what he considered distractions. In today's world of coaching, I believe this becomes more difficult. There are so many more hats that coaches were today and they are pulled on from a variety of directions. 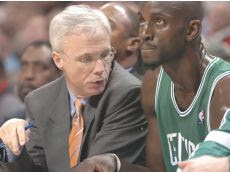 The best coaches are the ones that know and remember to, as Stephen Covey says "keep the main thing the main thing." Jobs aimed for the simplicity that comes from conquering, rather than merely ignoring complexity. Without questions, simplicity makes the most important component in teaching. All great teachers are able to take complex things and reduce them to their most simplest form. To me this is one of the most important challenges we have on a daily basis as coaches. Take what we teach and work to make it as simple as possible without losing the benefits necessary for supreme execution. Simply put, know what your program stands for and make that your guiding light. Don't let things get in the way of you pushing your program through to the level you desire. 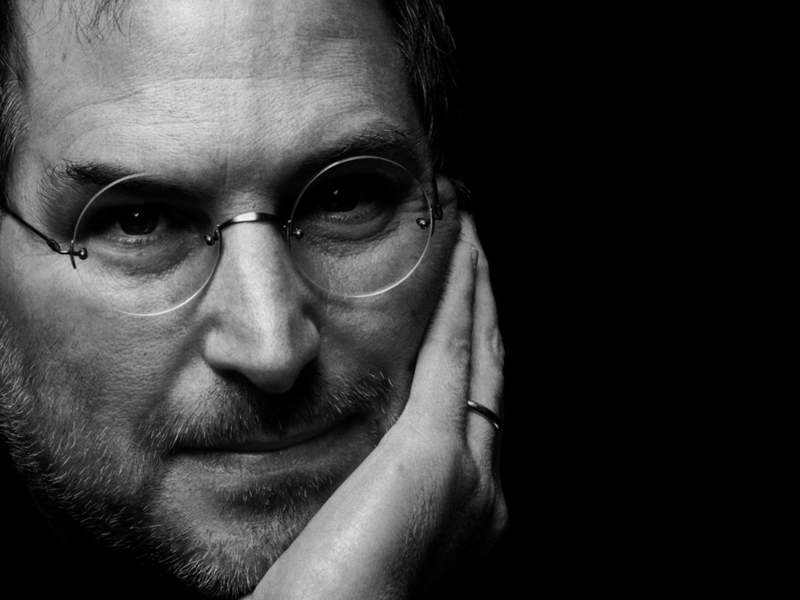 I loved the "insanely great" mantra of Jobs. Not "great" -- he wanted "insanely great." Again, a tough one for today's coaching -- especially the young coaches. Too many coaches sitting in front of the computer reading the message boards. 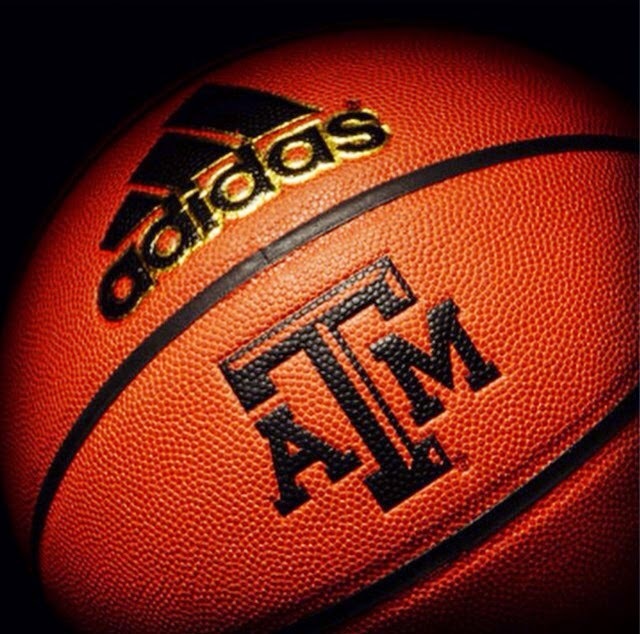 Sure you have to listen occasionally to alumni, administrators and boosters -- but run your program and do what you think is best in helping it grow. One day Jobs marched into the cubicle of Larry Kenyon, the engineer who was working the Macintosh operating system, and complained that it was taking too long to boot up. Kenyon started to explain why reducing the boot up time wasn’t possible, but Jobs cut him off. “If it would save a person’s life, could you find a way to shave 10 seconds off the boot time?” he asked. Kenyon allowed that he probably could. Jobs went to a whiteboard and showed that it five million people were using the Mac and it took 10 seconds extra to turn it on every day, that added up to 300 million or so hours a year – the equivalent of at least 100 lifetimes a year. After a few weeks Kenyon had the machine booting up 28 seconds faster. The great leaders (including coaches) can paint pictures. I read once that vision is the art of seeing the invisible. 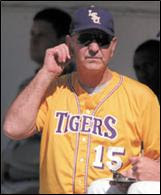 When Skip Bertman took over the baseball program at LSU, no one cared. They averaged a couple of hundred a game. They had never won. 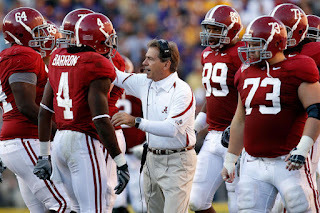 When he retired, LSU had been named "The Program of the Decade" and captured 5 National Championships while annually leading the nation in attendance. When a media person asked his mentor Ron Fraser, "Who would've ever dreamed this happening at LSU?" Coach Frazier quickly replied, "Skip." Job’s early mentor Mike Markkula wrote him a memo in 1979 that urged three principles. The first two were “empathy” and “focus.” The third was an awkward word, “impute,” but it become one of Job’s key doctrines. “Mike taught me that people do judge a book a book by its covers,” he told me. This is an important concept for us to understand as coaches. Certainly we shouldn't judge a book by it's cover -- but people do indeed do this. So the question is how are you executing your program around this concept? Presentation means a lot -- often if you get the opportunity to move forward. A smart, simple attractive "book cover" will get people to want to open the book to its first page. This is important in recruiting. It's important in attracting boosters and season ticket holders. It's incredible important for teaching. During the development of almost every product he ever created, Jobs at a certain point “hit the pause button” and went back to the drawing board because he felt it wasn’t perfect. Job’s perfectionism extended even to the parts unseen. 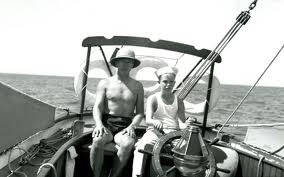 As a young boy, he had helped his father build a fence around the their backyard and he was told they had to use just as much care on the back of the fence as on the front. “Nobody will ever know,” Steve said. His father replied, “But you will know.” A true craftsman uses a good piece of wood even for the back of a cabinet against the wall, his father explained, and they should do the same for the back of the fence. It was the mark of an artist to have such a passion for perfection. The key here is to have a passion for excellence in all that your program is responsible for. You can't be undisciplined in little things and expect to be discipline in big things. Demand the you and your staff do their absolute best in all areas of the program -- your players will see that and follow suite. Jobs was famously impatient, petulant, and tough with the people around him. But his treatment of people, though not laudable, emanated from his passion for perfection and his desire to work only the best. Often programs and players will rise to the level of expectations of their leaders. As Sue Gunter would say "Dream big...work hard." It was the essence of what she built at LSU. And make no mistake about it -- you must demand that those involved give you their absolute best at all times. This is another great point for today's coaching. Technology has made it both easy and fashionable to have conversation via text and email. I'm not saying at times it's not necessary but it will never replace the power of a face-to-face meeting. Conversation now becomes unscripted and you can peel back the layers to get to know each other better or to better get the message across that you need. I loved that Don Meyer at Lipscomb had a sign-in sheet that had his players come by the office so he could have some face-time with them. Jobs’ passion was applied to issues both large and minuscule. Some CEOs are great at vision; others are managers who know that God is in the details. Jobs was both. You can't get bogged down with details but you also have to know that they are important. You also have to be able to what details are more important and valuable than other details. It's a delicate juggling act but the best have the ability to see the big picture and know how to paint it with the details. He connected the humanities to the sciences, creativity to technology, arts to engineering. Yet again another example of having so much technology that we overlook or don't give as much attention to the human development. It reminds me of one of my favorite George Patton quotes: "Wars may be fought with weapons, but they are won by men. It is the spirit of the men who follow and of the man who leads that gains the victory." The key here is to not get complacent and never be shy about taking calculated risks. Don't ever think "I've arrived," or "We've made it." That's the beginning of the end. Continue to drive forward and raise the bar for performance and execution. Being your best is a process not a destination.